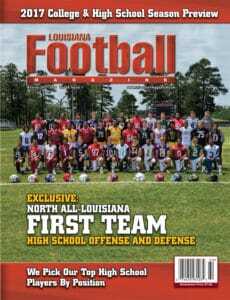 It is not often that we go into the MAIS ranks, but there are some great players from that league that are in Louisiana. One of those great players is Oak Forest Academy senior QB Brad Lamonte. Lamonte is a 6-1, 195 pound pocket passer and one of the best quarterbacks in the state that nobody has heard of. Lamonte may not blow you away with electrifying speed or freakish athleticism, but he has everything that you need in a great pocket passer. He has a very quick release when he throws the football and has a fantastic arm. When a quarterback not only has quick decision making, but the ability to throw the football at any spot, it sure does help get the quick passing offense going. Not only does Lamonte have the intangibles, but he is a great leader for his football team as well as a winner. In his first full season as the starting quarterback, Lamonte has looked like a four year starter leading his team to a 6-3 record and throwing for over 800 yards, which is currently third best in the team’s district. What is most impressive is that the team played in one game less because of a bye week and Lamonte only played in one quarter in the team’s blowout win earlier this season against Bowling Green. 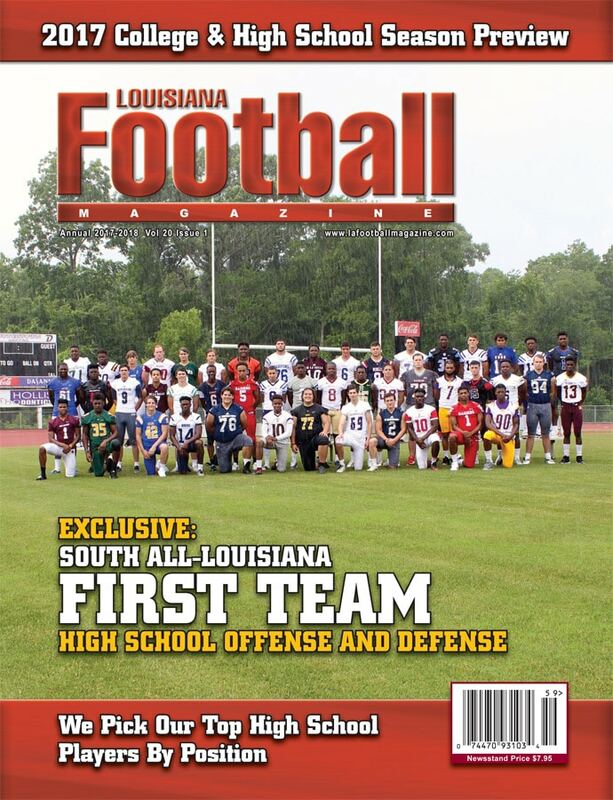 Louisiana Football Magazine’s recruit expert Lee Brecheen believes that the MAIS has a big sleeper in the Oak Forest Academy quarterback. As of right now, Lamonte has no offers from any schools, but is looking for a chance to play football at the next level. With the right school and the right system, he could be a perfect fit. In today’s recruit spotlight, we dove into the MAIS ranks as we caught up with the Oak Forest Academy senior QB as he talked about his senior season, what makes the MAIS league unique, his dream school to play for, and so much more! LAFM: Have you been offered by any schools to play football? If so, what are some of the teams that have offered you? I have not been offered by any schools yet, but I am open to any offers. LAFM: What is your dream school to play for? My biggest strengths are my arm strength and accuracy. LAFM: What are some areas to our game that you need to improve on? I need to improve on my 40 time and my bench press. 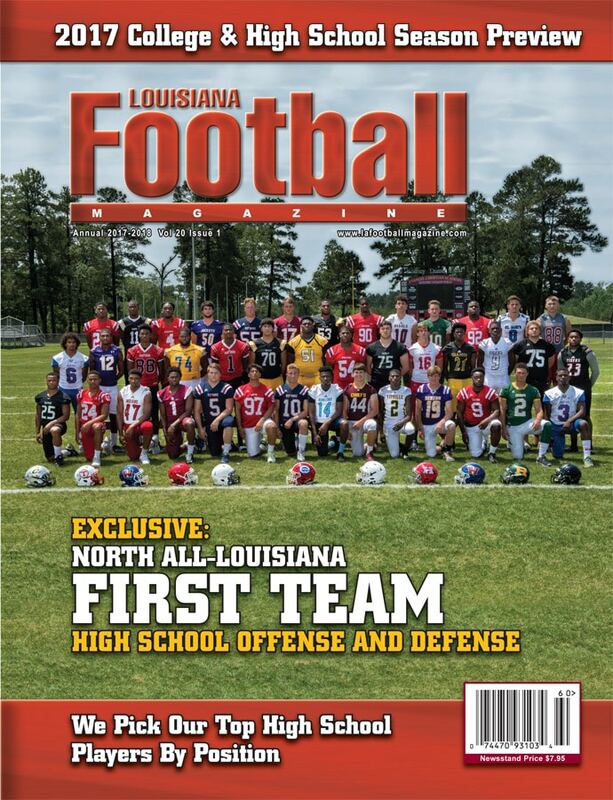 LAFM: For those unfamiliar with the MAIS league in Louisiana, why should football fans come and see y’all play? Fans would enjoy seeing a Louisiana team play some quality Mississippi football teams that maybe aren’t as popular in this area. LAFM: What are the biggest stats and accomplishments over your career? I am currently at 863 yards passing so far in an offense which primarily runs the ball. LAFM: Last season, the Yellow Jackets were so close winning the championship last year against Lamar. How tough was it for the team to end a great season with a disappointing loss? It was very disappointing and a tough loss, but everyone played hard and we looked forward onto this season. LAFM: This year, the team is off to a similar start at 6-3. What are the keys to the rest of the season in order to continue the success the team has had in the regular season and to make another run at the MAIS championship? 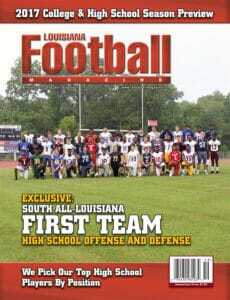 This season, we moved to MAIS Division I 4A, which requires us to be more physical and more balanced team. We must stay healthy and hungry. LAFM: Who is a quarterback that you model your game after and why? I model my game after the best and that is Tom Brady (Michigan/New England Patriots). He worked his way to the top and proved with hard work, you can accomplish your goals. I also like watching film of some of the older guys such as Joe Namath (Alabama/New York Jets/Los Angeles Rams), Ken Stabler (Alabama/Oakland Raiders/New Orleans Saints/Houston Oilers), and Terry Bradshaw (Louisiana Tech/Pittsburgh Steelers). My best game so far was a district game against PCS (Presbyterian Christian School) in which I threw for 242 yards with one touchdown pass and no interceptions. I felt like I made good decisions and threw the ball into small windows. I enjoy playing and collecting guitars. I also enjoy working out and hitting the heavy bag. Well, the ultimate goal is to play hard and win Oak Forest a state championship. My own personal goal is to throw for over 1,000 yards. LAFM: What is your message to the Oak Forest team and the fans for the rest of the season? I want to sincerely thank the fans for the home and away support. There’s no better fans than Oak Forest fans. I want to tell the team to stay motivated and play for the guy next to you and play hard every down. I would like to thank my parents especially my dad. He pushes me hard and offers me the best advice that he can give me. He understands the game and helps me out as much as he can. I would also like to thank the rest of my family for coming to my games and being the loudest and proudest fans there. LAFM: When your football career does eventually come to an end, what do you plan on doing? I would be interested in staying involved with the game by coaching if I had the opportunity. Football is a wonderful game, and I would like to stay with it as long as I can. LAFM: What makes you special or stand out as a quarterback from any other quarterback in the state? I have great accuracy and arm strength throwing the football. I always keep my eyes downfield to extend plays. I am also a very hard worker and I am not selfish either. I’ll hand off 30 times a game if that’s what it takes to win. Next: LAFM TV 12th Season! Episode 7!